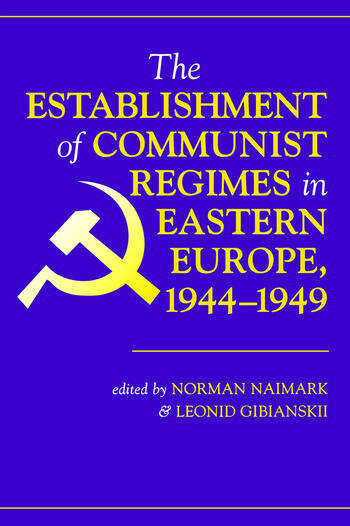 The collaborative effort of scholars from Russia and the United States, this book reevaluates the history of postwar Eastern Europe from 1944 to 1949, incorporating information gleaned from newly opened archives in Eastern Europe. For nearly five decades, the countries of Yugoslavia, Poland, Albania, Bulgaria, Romania, Hungary, Czechoslovakia, and the Soviet zone of Germany were forced to live behind the ?iron curtain.? Though their experiences under communism differed in sometimes fundamental ways and lasted no longer than a single generation, these nations were characterized by systematic assaults on individual rights and social institutions that profoundly shaped the character of Eastern Europe today. The emergence of the former People's Democracies from behind the iron curtain has been a wrenching process, but, as this book demonstrates, the beginning of the communist era was equally as traumatic as its end.With the opening of the archives in Russia and Eastern Europe, the contributors have been able to get a much firmer grasp on Soviet policies in the region and on East European responses and initiatives, which in turn has yielded more satisfying answers to vexing questions about Soviet intentions in the region and the origins of the Cold War. Exploring these events from a new, better-informed perspective, the contributors have made a valuable contribution to the historiography of postwar Europe.